There are plenty of people in Serenade with motive to murder Teresa Donovan. But no one doubts that her estranged husband, Cole, killed her. No one except FBI profiler Jamie Crawford. Though their electrifying attraction threatens her objectivity, Jamie's unerring gut tells her the magnetic tycoon is innocent.­Cole's disastrous marriage has shattered his trust. But in Jamie's alluring presence, his protective armor melts away. 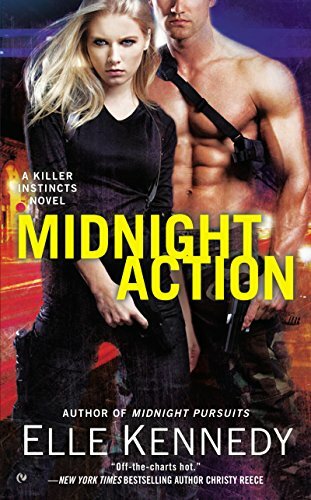 Now, as their mutual fascination ignites into a mind-­melting attraction, a killer is targeting Jamie. And Cole will risk anything to protect the woman who's restored his shattered heart…. Blake was tracking the Rose Killer in order to forget the woman he couldn't save. Now there was a new lead: a survivor. Convincing Samantha "Sam" Dawson to help was only half the battle. Resisting the allure of the fiery beauty was downright impossible. Sam wanted nothing to do with men. With the city. With the fame of her former life as a model. Six months after the heinous attack, she still bore the killer's trademark scar. But if she was as tough as she thought, she'd have to face her fears to catch a killer--­and dare to love again. Older, wiser, and unwilling to play the fool again, Noelle runs a group of highly skilled assassins. And she’s just been offered the hit of the century: Eliminate Jim Morgan. History gives them no reason to trust each other, but with their lives in jeopardy at the hands of a common enemy, the lines between love and hate are soon blurred. Now Noelle and Jim must face the past if they want to have a future—let alone a future together.